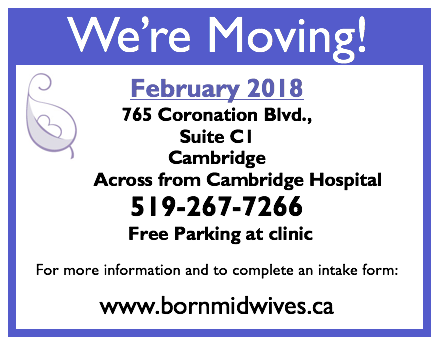 As of mid-February we will be moving to our new location! 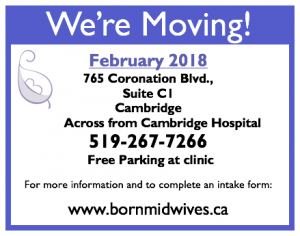 Conveniently located near Cambridge Memorial Hospital, with a beautiful view of Galt Golf and Country Club, along bus route 52, and free parking for clients. Looking forward to seeing you there! © 2013 Born Midwives. All rights reserved.